In the spring of 1993, thousands of people of all ages held hands and formed a circle around Tinker Air Force Base. They gathered outside the fence wearing T-shirts that said SAVE TINKER and waved flags and held signs. In just a few days they would discover Tinker’s fate when the Base Realignment and Closure Commission announced which installations did not make the cut. It was unthinkable, really; that they could close a military base, let alone dozens. After all, Oklahoma had served as host to the facility for more than 50 years and through several wars. A section of the Berlin Wall from the Science Museum of Oklahoma. Back in the days we called it the Omniplex, it was on year-round display near the front doors. But, the world had changed. The Cold War had thawed. The iron curtain was shredded. 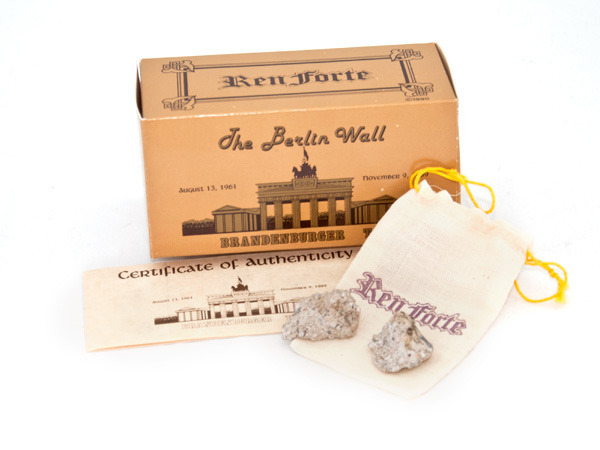 The Berlin Wall had come tumbling down. Large remnants with murals were sold to museums. Even rubble from the 96-mile long barrier was branded and then parceled out to American department stores. I even bought a piece. Leave it to capitalism to figure out a way to sell off worthless chunks of concrete for a profit. But, really, there’s nothing quite like holding the memorable ruins of Communism in your hands. The Base Realignment and Closure Commission held 17 hearings and personally visited more than 125 military activities. They met with hundreds of community representatives and expert witnesses and scrutinized thousands of pages of testimony. In the end, Tinker was spared, but more than 30 were not. But, that was not the end of base realignment and closure, and by then, we all just referred to it as a dirty, four-letter word: BRAC. There would be another round of closures in 1995. So, Tinker went to work to save itself and one to the tools they used was storytelling. As a public affairs staff writer, all I pretty much did for five years was interview engineers and write stories about the amazing things they were doing. Like how through expert maintenance of aircraft they spared a European nation’s Air Force from international embarrassment; or how they turned industrial sludge into material kitchen counter-tops; or how they constructed a tiny wall to protect the endangered Texas horned lizard; or how they stopped using MEK to remove paint from planes and figured out how to use water instead; or how they injected microorganisms into soil to eat contamination. In the 1995, round of base closures, Tinker was once again spared. Today, another BRAC looms on the horizon for 2015. 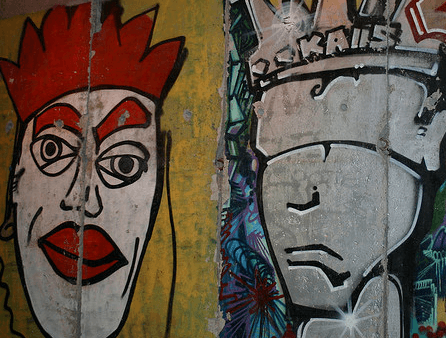 Since, 1989, the year the Berlin Wall fell, 350 military bases have been closed and 55 have been realigned. Democracy takes no prisoners, only willing accomplices. Along the way, there are many unintended consequences, all celebrated by the free who are brave.